If you have ever dreamed of staying in a cosy shepherd's hut, located in one of the most beautiful regions of Britain, then you can stop dreaming right now. Because, we reckon the two shepherds huts at Upland are about as good as it gets if you're looking for somewhere peaceful and authentic to really get away from it all – the ultimate not only in comfort but in sustainability and authenticity too. So what makes them so good? Firstly, you're on a farm stay in the Scottish Borders, surrounded by sheep, chickens and dogs who will visit you from the nearby farmhouse (where, if you're desperate, there's free wifi); and the views are to die for, especially from the more elevated Woodman's Hut in the forest. Moreover, both huts are beautifully made using recycled materials, insulated with sheep's wool for extra warmth in winter and coolness in summer, and are powered by solar panels. They are also beautifully furnished, with comfy beds, Egyptian cotton sheets and thick duvets, plus a welcome tot of whisky, tea, coffee and water as well as other basics; each hut also has a wood-burning stove. If you are after ultimate relaxation, then breakfast and evening meals are available on request, although each hut also comes equipped with an outside barbecue and hob as well as anything else you may need, though bear in mind the huts don't have fridges. 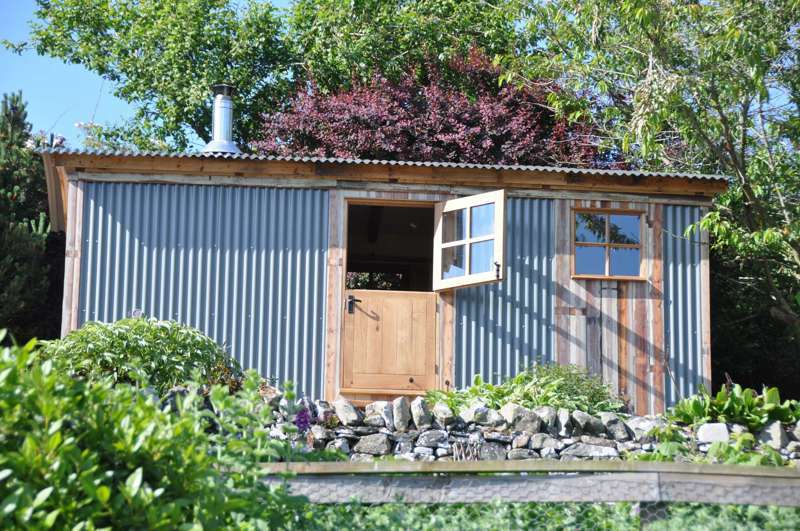 If you're bored of B&Bs, give a romantic shepherd's hut a try – it's a glorious escape in a wonderful part of Scotland. Glampers, couples, families – yes. Tents, campervans, caravans, dogs and pets – no. Outdoor pursuits reign supreme here. Anglers should definitely not pass up the opportunity to fish in the world famous Tweed or its equally clear and bountiful tributaries, the Whiteadder and the Till, closer to the campsite (ask onsite for details). Around these valleys the Lammermuir Hills make for excellent walking, with plenty of local footpaths (some from directly outside the site) but the Southern Upland Way (01835 824000) and Sir Walter Scott Way are the most notable long distance route, each passing within 5 minutes walk of the shepherd's huts. Game shooting, clay shooting and deer stalking can all be arranged. You can book just accommodation or a bed and breakfast option. If you take the former option you can still request a continental breakfast basket, containing muesli, yoghurt, milk, butter, pastries, croissants, orange juice, tea and coffee (£15; ask when booking). There is no fridge but a cool box can be provided and ice blocks replaced for you on a daily basis. There are no pubs in the immediate vicinity. The nearest is probably The Black Bull (01361 883379) in Duns, but the Riverside Restaurant (01361 840312), just down the road from the campsite at the other end of Abbey St Bathans, offers fantastic food from its scenic location. Main Street Trading (01835 824087) is a fabulous bookshop, café and deli in St Boswells. It has won numerous prestigious awards, from Best Independent Retailer to Deli of the Year, and is definitely worth the detour. 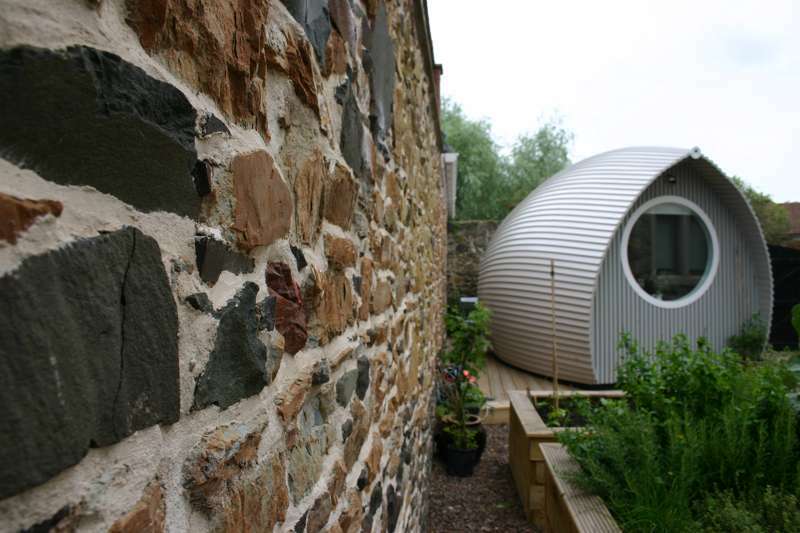 The eco-friendly shepherd's huts are made with reclaimed materials and insulated with sheep's wool. Both huts have en-suite shower rooms with hot water and eco loos. Inside there is a double bed (bedding and linen included), storage, wood-burning stove and a sink (the water is not for human consumption). There's also some complimentary marshmallows for toasting and bottled water plus essentials, such as tea coffee and sugar, are supplied. There is a basic "outside kitchen" to the side of the hut for your use along with a Kadai Fire Bowl BBQ, a small gas hob, a kettle, pan and frying pan, sharp knives and other daily necessities. The farm has free range chickens, 3 friendly dogs and acres to explore so, especially outside of summer, wellies are recommended. Wi-Fi is available in the farmhouse. 2 well furnished shepherd's huts. £75–£85 a night, two-night minimum stay. Less than a 1hr drive from Edinburgh and 25 mins to the nearest East Coast Mainline train station in Dunbar or Berwick Upon Tweed. It's an easy journey with only 15 minutes on a single track road from the A1. The final bit, though, is on a small country road – directions provided on booking. When it's time to find something more urban local towns like Duns, Melrose and Kelso all have something to offer in their independent shops but Edinburgh is the obvious day-tripping destination. It's an hour in the car or take the 20 minute train from Dunbar Station.